Combine these two activities for even more fun! 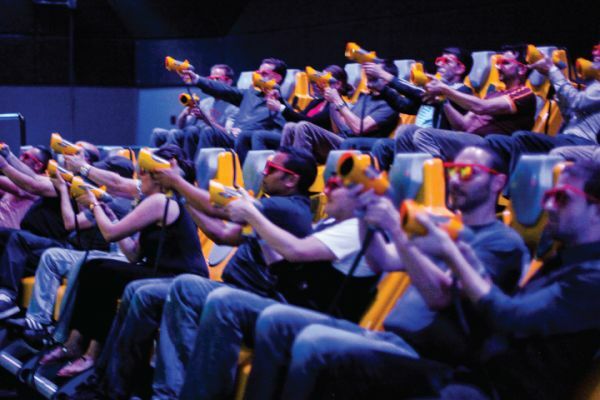 Strap yourself into a seat before a massive movie screen and compete in a laser blasting game complete with state-of-the-art technology that will make you feel as though you are on a roller coaster! Blast your way through a post-apocalyptic wasteland, face off with menacing robots, or challenge werewolves and mutants in a game against your comrades in the 20-seat theater. All of the game choices offer chills and thrills with ultra cool graphics. 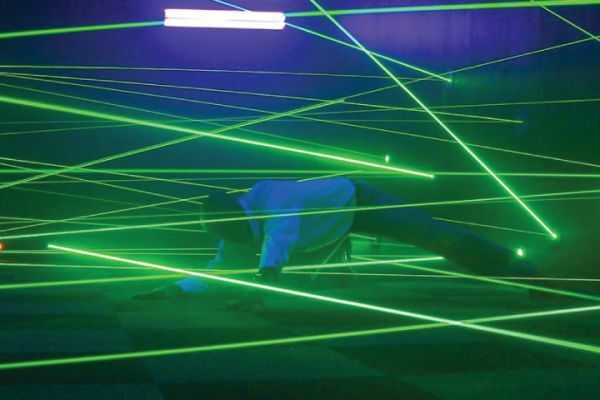 In the Lazer Challenge, you will stretch, bend, crawl and jump your way through a web of laser beams while being cheered on by onlookers watching live screens.